Discover the magic that happens when natural beauty meets with local flavor and friendly folks in the heart of Oregon wine country. The McMinnville Inn is close to the McMinnville Municipal Airport, home to the Spruce Goose and is perfectly situated for you to enjoy the wonders of the Willamette Valley without having to sacrifice comfort or value. Our charming town is only an hour away from Portland and makes for a perfect weekend getaway. 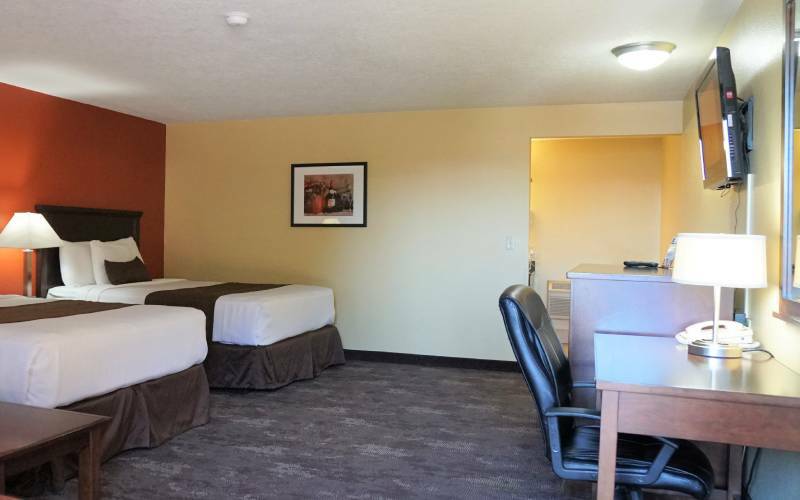 Whether you're planning a romantic weekend for two or a family vacation, our hotel provides you with gracious accommodations near all the most popular things to see and do in McMinnville, Oregon. The historic district of downtown McMinnville is where you'll find an eclectic mix of art galleries, boutiques and restaurants that showcase the local flavor of the Northwest. In addition to the rich offerings of Third Street, McMinnville is host to a Downtown Brown Bag Concert Series during the lunch hour on Thursdays. These concerts give you a chance to enjoy live music and a picnic lunch in the plaza during the months of June through August. After lunch, be sure to stop by the McMinnville Farmers Market on Thursday afternoons from June through the middle of October.